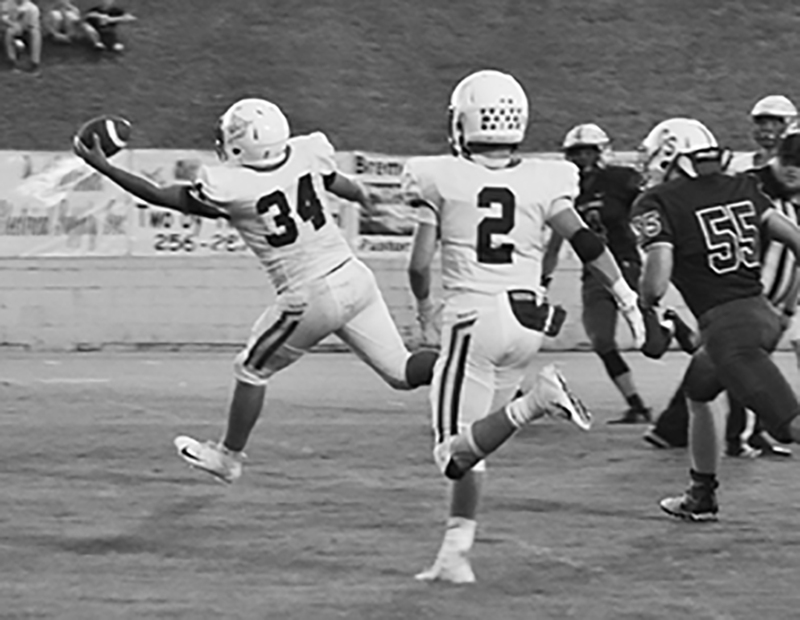 Berry’s Isaac Darty (34) is pictured making a one-handed pass reception for a touchdown as Sam Franklin (2) watches. Green Bay coaching legend Vince Lombardi once said, “We didn’t lose the game; we just ran out of time.” The Berry fans who traveled to Cullman County to watch the Wildcats take on the Cold Springs Eagles can identify with this. The two teams traded the lead all night, but ultimately the clock caught up with Berry and Cold Springs escaped with a seven-point victory, 27-20.